Throughout 2017 Cobra Sport is taking part in the Mistress Cutlers’ Challenge raising money for The Sheffield Children’s Hospital and The Cavendish Centre for Cancer Care. 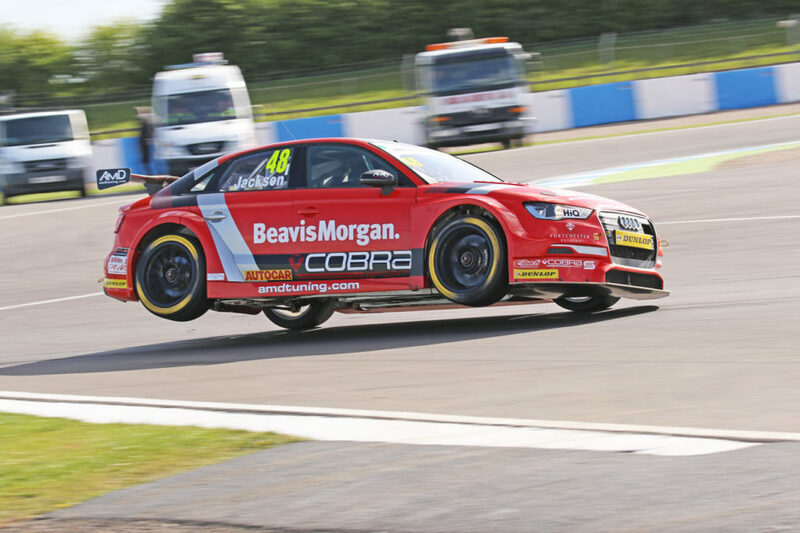 We’re pleased to offer a fantastic prize for any British Touring Car racing fan, a unique chance to experience a passenger ride in a current British Touring Car around the Donington Park national circuit at the VAG Tuner Live show (Sunday 16th July). To be in with a chance of winning this fantastic prize we are selling raffle tickets to be drawn at random in a prize draw on the morning on Thursday 13th July 2017. Sales of tickets will finish at 9am on Thursday 13th July. The cost of entry is £5 per ticket and you may enter multiple times for example a £20 donation will be classed as four entries. The PayPal system will accept donation payments for users both with an existing PayPal account or via Credit/Debit card without the need to set up an account. Hoodie and Cap from the AmDTuning with Cobra Exhausts merchandise range. All money raised from the raffle will go directly to the Mistress Cutlers’ Challenge. Once entered via PayPal, please also send an email to nick@cobrasport.com with your contact details to make sure we are able to contact you. Donations will be confirmed via email once received.